Oats have been my life for as long as I can remember. They make a perfect breakfast option for anyone at any age and you can make them as interesting as you like. Can I get an Amen! My chocolate overnight oat jar is to die for, and my favourite overnight oat jar flavour. You can eat oats, hot or cold, sweet or savoury. They are a great source of fibre and keep you fuelled up and ready to take on the day. I don’t have time in the morning to faff around cooking it on slow heat with milk so I soak them overnight so they are soft and ready to eat in the morning. Don’t get me wrong, I do love warm oats, especially in the Winter. But now that it is Summer, cold oats are my first breakfast choice. I use Red Mill Gluten-free oats from Holland and Barrett. Another favourite is the scottish porridge oats from Tesco and they are dead cheap. You can make them any flavour you want. Here is my basic overnight oat jar recipe. Have you seen my previous matcha pudding and granola recipe? This is another great breakfast option. You can top with whatever fruit you like. 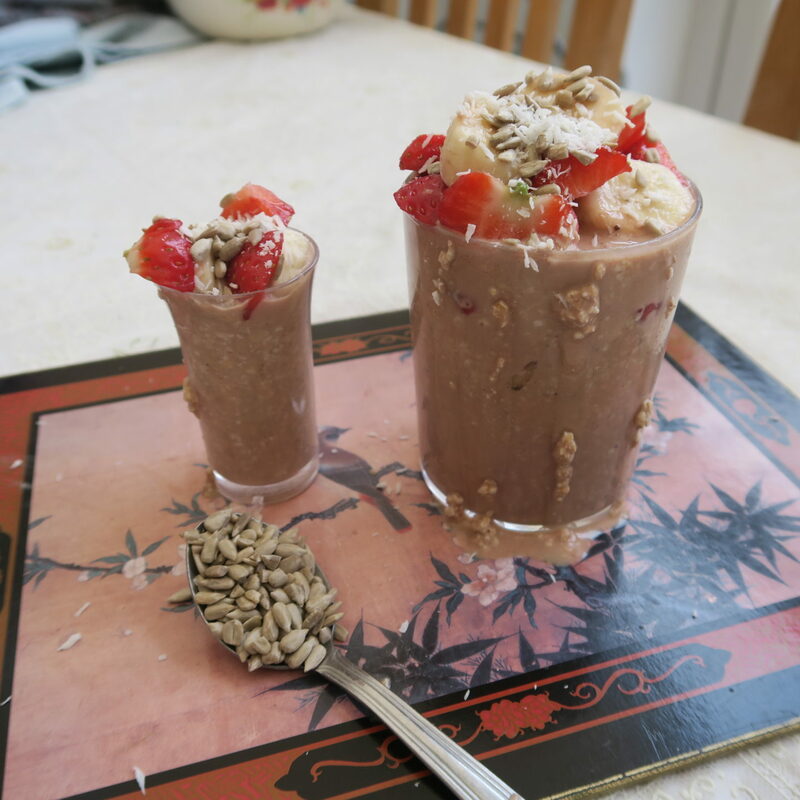 I like the combination of banana and strawberries with a sprinkle of nuts, sunflower seeds and coconut shredding. What are your favourite overnight oat jar recipes? You have got to try these. wow this looks amazing. I’m not a lover of oat tbh, but this is something I’d like to try. It looks delicious. Thanks for sharing.